English yachtswoman Susie Goodall has been rescued by a 40,000-tonne cargo ship in stormy conditions - two days after her boat violently capsized 2,000 miles west of Cape Horn during the Golden Globe Race. An update on her Twitter account said: "ON THE SHIP!!!" 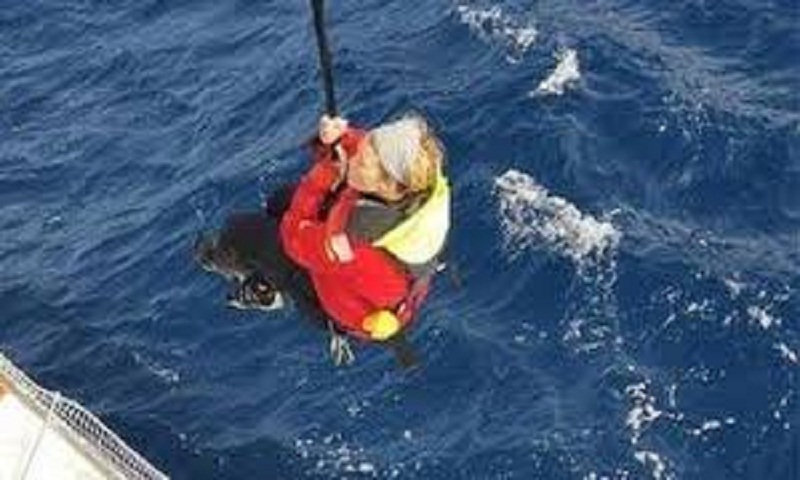 The Chilean Maritime Rescue Coordination Centre later tweeted a picture of Goodall being rescued, adding: "After three intensive days of co-ordinations from MRCC Chile, today at 15:35, the motor vessel Tian Fu was able to rescue the British yachtswoman Susie Goodall." But after her boat's engine stopped, the Tian Fu's captain had to move his ship to meet Goodall. Golden Globe founder and organiser Don McIntyre admitted beforehand the procedure would be "tricky". The pitchpole - rolling end over end - was so violent she was knocked out. She then tweeted to say she was "totally and utterly gutted", and has since been seasick because of the mast-less boat pitching in the waves. McIntyre said: "She was in shock and during a dramatic phone call didn't want to abandon the boat. But we had to make her realise it was more serious than she thought."